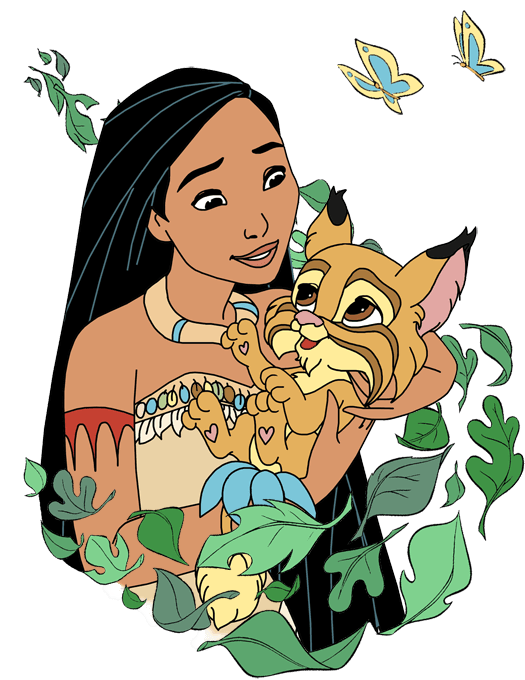 Dress up Pocahontas and her palace pet Pounce, the bobcat! Mix and match hair accessories, earrings and collars. Pick your favorite shades of makeup to complete Pocahontas's look. Pocahontas met Pounce in her tepee on a nice Autumn day, holding one of her ornamental feathers in his mouth. The cute little bobcat is very helpful and protective.